An artist's rendering showing layout of the New Cairo Wastewater Treatment Plant. The plant is expected to be operational by March 2012. 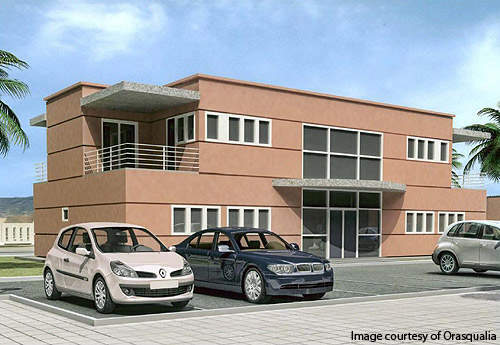 An artist rendering showing the plant's office building. A diagram showing sewage treatment process of the plant. 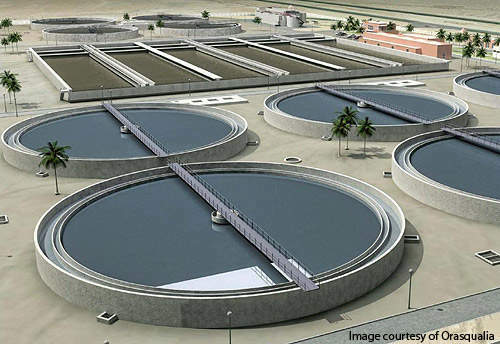 New Cairo Wastewater Treatment Plant is the first public-private partnership (PPP) project in Egypt. The plant will initially have a capacity of 250,000m³/day, to serve over one million people. The final capacity will be 500,000m³/day. Construction commenced in February 2010 and the plant is expected to be operational by March 2012. The $472m project contract was awarded by the Egyptian Ministry of Housing, Utilities & Urban Developments (MHUUD) through the New Urban Communities Authority (NUCA) in June 2009. With a concession period of 20 years, the contract involves design, construction, financing, operation and management of the new plant. The project ownership will be transferred to NUCA at the end of the concession period. The main purpose of the project is to provide the city of New Cairo and the surrounding area with a cost-effective, environmentally safe wastewater treatment facility to meet the requirements of present and projected population growth. The project is also intended to promote PPP as a model for future water and wastewater projects in the country. The plant is located in New Cairo City, an extension of Greater Cairo. The city currently has a population of 550,000, which is expected to reach three million by 2029. Rapid population growth has created immense pressure on the existing water supply and sanitation services. 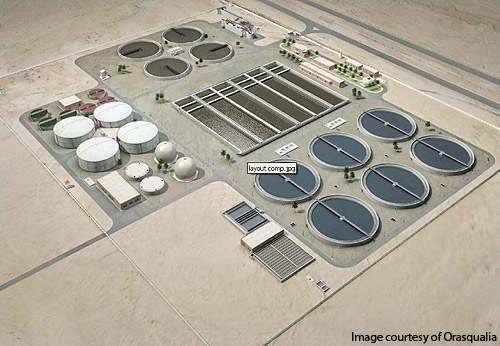 The government, therefore, planned to build the New Cairo wastewater treatment plant to meet current and future demand. In 2006, a fund of $75,000 was requested by the Egyptian government from the Public-Private Infrastructure Advisory Facility (PPIAF) to prepare a capacity assessment, conceptual framework and transaction model for the plant. The final report, submitted in January 2008, recommended that a PPP model would be the most suitable structure to carry out the project. Inlet works and pre-treatment facility will be comprised of reception point, inlet and general bypass chamber, flow measurement, coarse and fine solids screening, and grit removal. Reinforced concrete pipes of 2,200mm will be laid to transfer the wastewater from reception point to the plant. Coarse solids screening and fine solids screening will be achieved by using four 1.5m-wide automatic screens. Four circular units each with a volume of 11,679m³ will be used for grit removal, while four airlift pumps will be used for grit collection. For primary treatment, the facility will have one distribution well with four outlets (6m-long), four gravity units and five horizontal centrifugal pumps. Six biological reactors with a volume of 14,580m³ and an average solids retention time of 5.02 days will be installed. There will be six units of anoxic area each with a volume of 2,970m³ and six units of aerobic area each with a volume of 11,610m³. Recirculation of sludge will be carried out by 14 horizontal centrifugal pumps fitted with frequency converter. Pumping of excess sludge will be done by seven horizontal centrifugal pumps fitted with frequency converter. There will be six secondary settling tanks for extraction and pumping of waste sludge to flotation thickeners. Micro-screening will be carried out by 11 textile mesh filters, each capable of filtering 1374.37m³/h. For disinfection, the plant will have two chlorination chambers and three automatic chlorination systems. The plant will use conventional line of water and sludge treatment process. 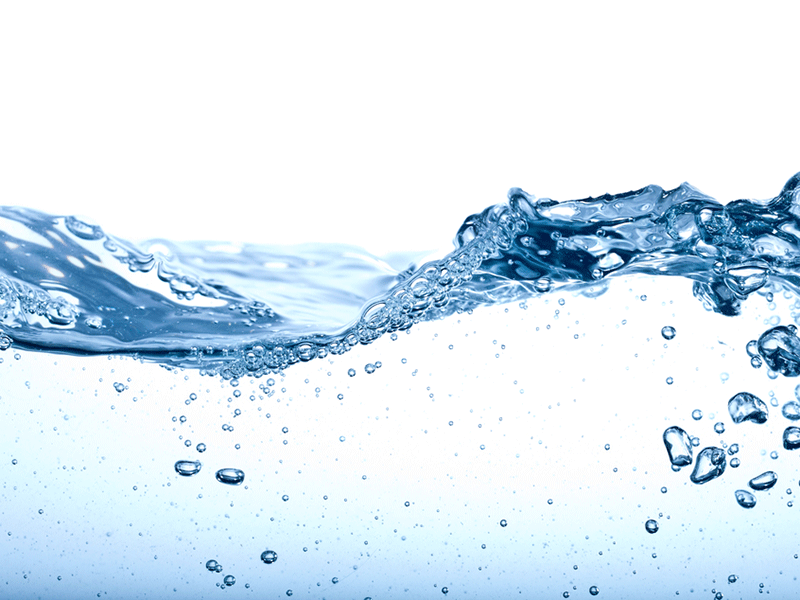 Each unitary process involved in the water treatment line will have four or more lines at any time. In order to comply with the effluent requirements, micro-screening and disinfection of the effluent will be carried out in the final process. The additional sludge treatment will be achieved through composting. The project is entirely sponsored by MHUUD. The project contract was awarded to Orasqualia, a joint venture (JV) between Orascom Construction Industries (OCI) and Aqualia. Apart from engineering, procurement and construction (EPC), the JV will be responsible for operation and maintenance of the plant for 20 years. A debt package of $103m for 15-year tenure is being provided by a group of four Egyptian banks to meet 70% of the EPC cost. The banks include NSGB, Commercial International Bank, Arab African International Bank and Ahli United Bank. Technical assistance was provided by PPP Central Unit. Gide Loyrette Nouel was the legal advisor, International Finance Corporation was the transaction lead advisor and Parsons BrinckerHoff was the technical consultant.